Wetlands are critical in supporting the healthy waters and diverse wildlife of the region. But development, invasive species and sea level rise threaten these important areas. Wetlands are critical in supporting the healthy waters and diverse wildlife of the Chesapeake Bay watershed. Located where land meets water, wetlands act like a sponge, soaking up storm surges and trapping polluted runoff. Wetlands also provide habitat to hundreds of fish, birds, mammals and invertebrates. But development, invasive species and sea level rise threaten these important areas. Protecting and restoring wetlands is a key way to promote clean water, healthy habitats and a restored Bay. Located where land meets water, wetlands are vital habitats in the Chesapeake Bay watershed. 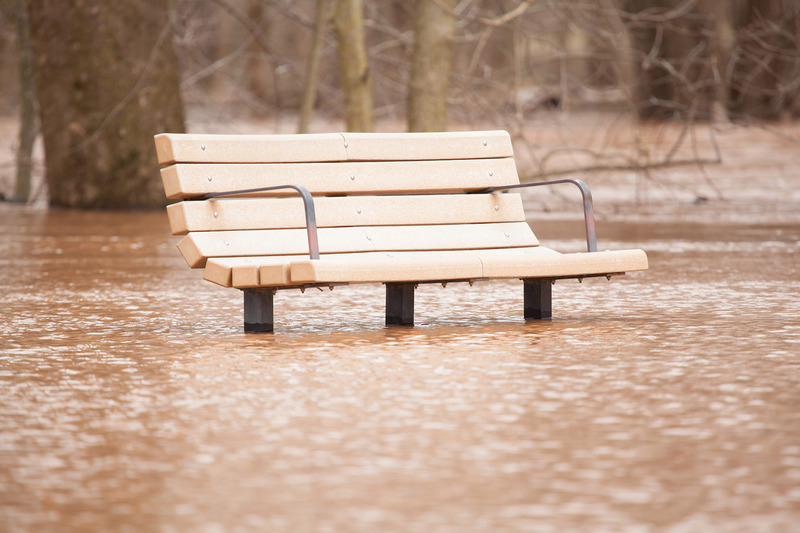 Wetlands act like a sponge, soaking up stormwater and dampening storm surges. 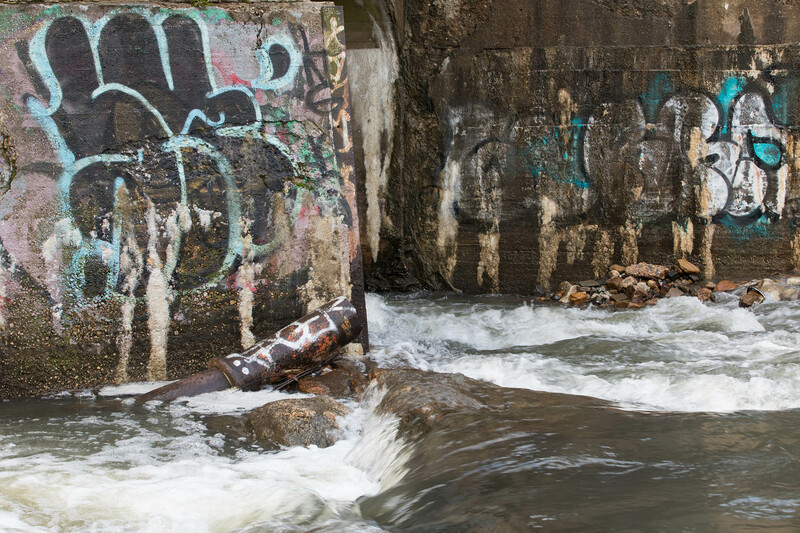 By trapping polluted runoff, wetlands help slow of the flow of nutrients, sediment and chemical contaminants into rivers, streams and the Bay. Hundreds of species of fish, birds, mammals and invertebrates depend on wetlands, and humans rely on wetlands to support recreational fishing and hunting across the watershed. Shoreline development, sea level rise and invasive species pose major threats to these critical habitats: development along beaches and shorelines blocks the creation of further wetland habitat and creates excess sediment; sea level rise floods wetlands with saltwater, destroying plants faster than they can populate higher ground; and invasive plants and animals can crowd out native species or damage wetland habitat. What types of wetlands are found in the Chesapeake Bay region? A wetland is defined by its soils and vegetation. Some wetlands may be saturated with water throughout the year, while others are not always visibly wet. All wetlands are dominated by “hydrophytes”—plants that are adapted for life in wet soils—and have hydric soils, meaning they are periodically saturated or flooded. Tidal, or estuarine, wetlands are flooded with salt or brackish water when tides rise. Tidal wetlands are found along the shores of the Bay and the tidal portions of streams, creeks and rivers. As of 2010, there were approximately 282,291 acres of tidal wetlands in the Chesapeake Bay area. Non-tidal, or palustrine, wetlands contain fresh water and make up 86 percent of the wetlands in the watershed. Palustrine wetlands are located on floodplains bordering streams and rivers, along the shorelines of lakes and ponds or covering broad, flat areas where water may collect (such as many areas on the Delmarva peninsula). Emergent wetlands, often called marshes or wet meadows, are made up of grasses, sedges and other leafy, non-woody plants. Shrub wetlands, known as bogs or shrub swamps, are characterized by low- to medium-height woody plants. Forested wetlands, including wooded swamps and low-lying hardwood forests near rivers, are dominated by trees. Sixty-eight percent of the wetlands in the Bay watershed are forested. Wetlands provide critical habitat for hundreds of species of fish, birds, mammals and invertebrates while improving the health of the Bay by collecting and storing flood waters, filtering polluted runoff and weakening storm surges. Wetlands also help protect shorelines and property, as well as provide opportunities for outdoor activities. Situated between the land and the water, wetlands act as buffers by slowing the flow of pollutants into the Bay and its tributaries. 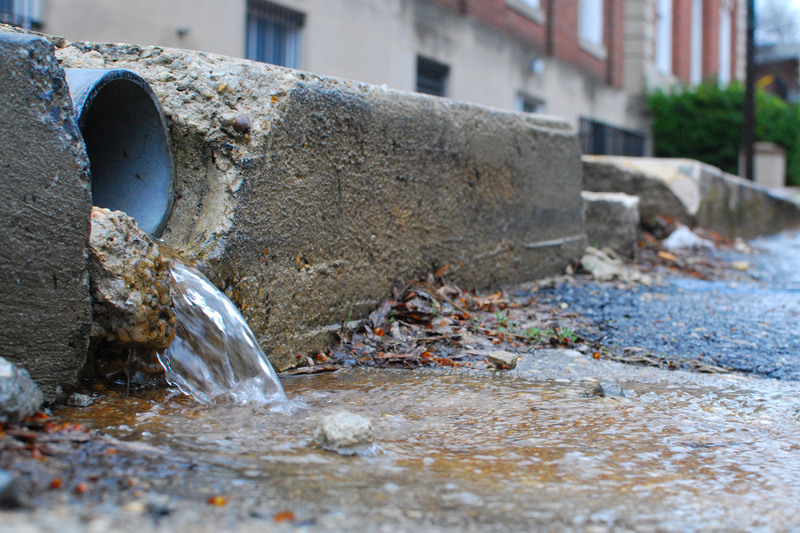 As polluted stormwater runs off the land and passes through wetlands, the trees and grasses filter and absorb nutrients, sediment and chemical contaminants before these pollutants can flow to nearby waterways. Wetlands also help control erosion. Just like a sponge, wetlands soak up and hold large amounts of flood water and stormwater runoff, releasing the water slowly over time. Wetlands along the edges of streams, creeks, rivers and the Bay stabilize shorelines and protect properties from floods and wave action. Wetlands are especially important in our cities, towns and suburbs, where development and impervious surfaces increase the rate and volume of polluted stormwater runoff. 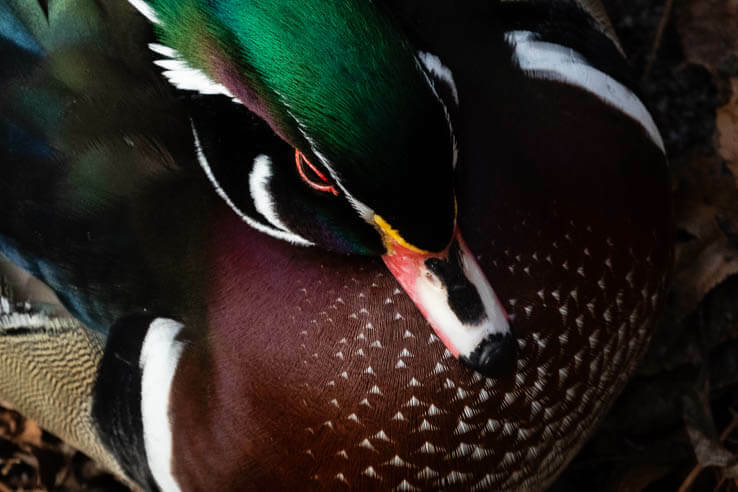 Tidal wetlands are a winter home for waterfowl that visit the Chesapeake Bay as they migrate along the Atlantic Flyway. Muskrats, wading birds and other widlife rely on wetlands for food and cover. Many commercially valuable species of fish and shellfish use wetlands as spawning or nursery areas. Thousands of aquatic species—including worms, snails, insects, mussels, tiny crustaceans and reptiles and amphibians—thrive in wetlands. In turn, larger animals depend on these small aquatic species for food. Humans rely on wetlands both for their economic value and natural beauty. As key habitat for hundreds of species, wetlands provide opportunities for fishing, crabbing and hunting. Wetlands are vital to the health of the Chesapeake Bay's commercial fishing industries, as they are habitat for commercially important fish and shellfish. Wetlands are also beautiful locations where people can connect with nature. Many people visit wetlands for popular hobbies and family activities such as boating, bird watching and photography. Unchecked development, rising sea levels and the spread of invasive species threaten the health of wetland habitats. Development along beaches and shorelines can send excess sediment into the Bay. Man-made, hardened shorelines—those lined with rocks, wood or concrete—can block the formation of wetland habitat and increase the amount of sediment suspended in the water. Over the past century, Bay waters have risen about one foot, and are predicted to rise another 1.3 to 5.2 feet over the next 100 years. As water levels rise, so will coastal flooding and erosion. Marshes and wetlands will be inundated with saltwater and will disappear faster than wetland plants can populate higher ground. A loss of marshes and wetlands will mean a loss of the habitat that traps pollution and provides food and shelter to fish, shellfish and birds. compete with native plants for pollinators. Phragmites, purple loosestrife and Japanese stiltgrass are three invasive plants that have become permanent residents of Chesapeake wetlands. 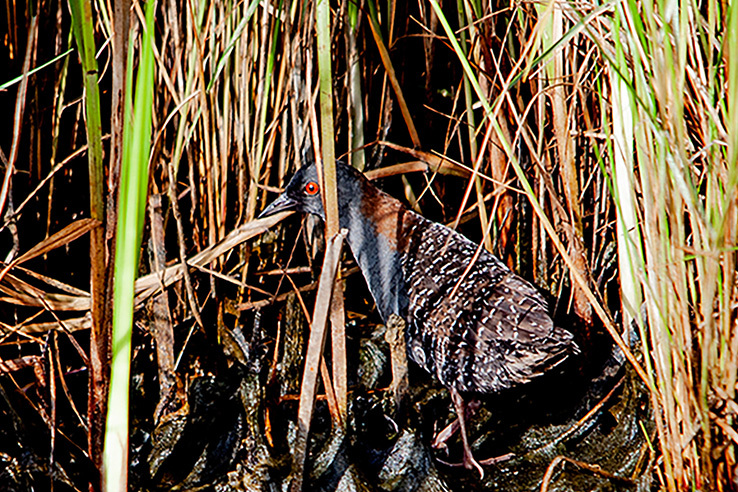 Invasive animals can also alter wetland conditions. Nutria have had long-term, devastating impacts on the region’s wetlands; since their introduction to Blackwater National Wildlife Refuge in 1943, the mammals have destroyed more than 7,000 acres of the refuge’s marshland. How are wetlands being restored? Retaining and expanding wetlands is a critical way to reduce pollution, provide habitat and restore the Bay. The Chesapeake Bay Program has a long history of working to protect and restore wetlands in the Bay region. Establishment is creating a wetland where one did not previously exist. Re-establishment is returning a former wetland to its natural, historic state. Usually former wetlands have been drained for another use, such as agriculture. Enhancement is improving one or more functions of an existing wetland, such as flooding a seasonal wetland to benefit waterfowl. Rehabilitation is repairing the historic functions of a degraded wetland, such as removing invasive species like nutria and phragmites. Protection is acquiring land or easements of at least 30 years. 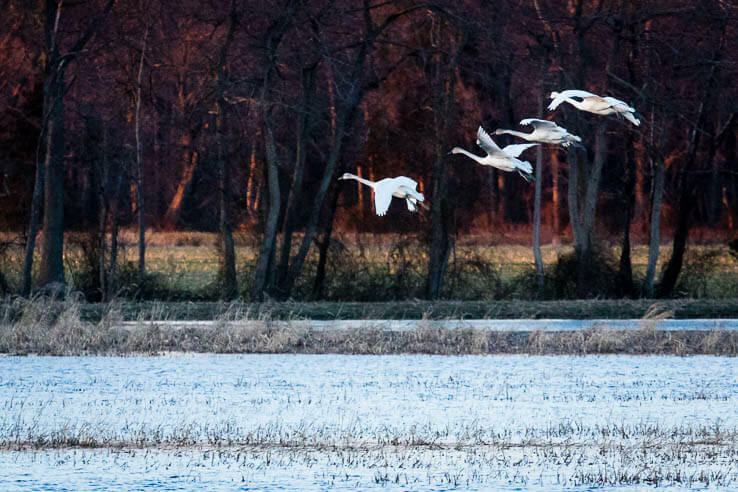 As part of the Chesapeake Bay Watershed Agreement, our partners committed to the goal of creating or reestablishing 85,000 acres of wetlands and enhancing an additional 150,000 acres of degraded wetlands by 2025. Between 2010 and 2015, 7,623 acres of wetlands were created or reestablished on agricultural lands. To support wetlands in the Bay watershed, consider planting trees and grasses to create more wildlife habitat. You can also choose and use native plants to support the plants and animals that have adapted to this region. What makes an area a wetland? An area is considered a wetland based on its plants and soil. Wetlands are dominated by plants called “hydrophytes” that are adapted for life in wet soils. Wetlands also have hydric soils, meaning they are periodically saturated or flooded. Wetlands are threatened by direct impacts such as shoreline development and invasive species, as well as water-quality impacts from excess nutrients, sediment and chemical contaminants. Many wetlands are also at risk to effects from climate change and sea level rise. What benefits do wetlands provide? Wetlands filter polluted runoff, ease flood and storm damages, provide habitat for wildlife and offer opportunities for recreation like fishing, hunting and bird-watching. The natural home or environment in which a plant, animal or other organism lives, feeds and/or breeds. Soil that is saturated or flooded with water for long enough during the growing season that its upper portion develops anaerobic or low-oxygen conditions. A plant that grows only in or on water or very moist soil.